The totally essential travel companion, now with postcards! Just what you've been waiting for... All the wondrous Wally worlds in one! Seven sensational classic Where's Wally? books packed into a handy travel-sized edition. 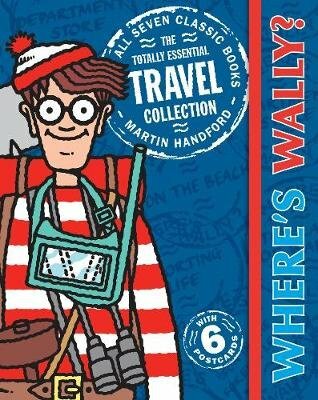 Wherever you're going, however you're travelling - join the spectacular search for Wally and be sure to send a postcard to all of your friends!